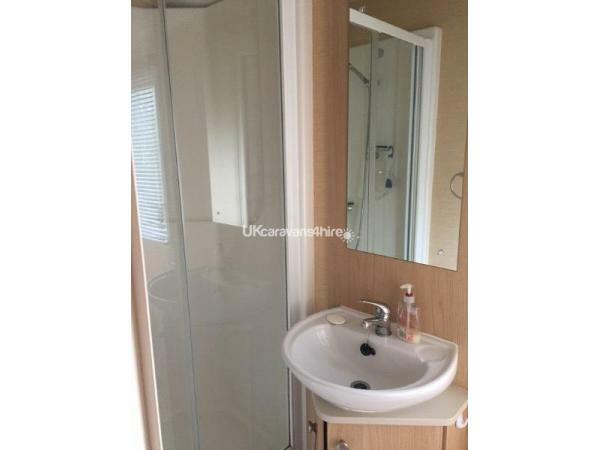 A deposit of £100 or 10% which ever is greater is required to secure booking. Balance payment 6 weeks prior to departure. Deposit is non refundable and cancellation insurance is recommended. Additional charge of £14 per dog is required. We accept cheque payments or bank transfers. Please adhere to Policies of the Pinewoods Holiday Park, copies of these will be provided in welcome pack. There is plenty to do around this area, families are well catered for, walkers and bird watchers. 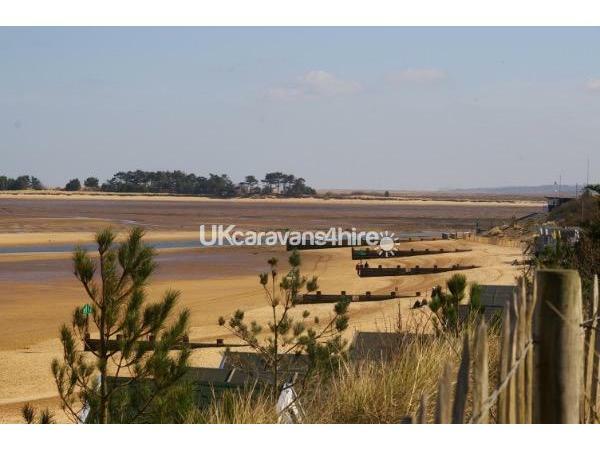 Wells is a favourite for windsurfers, kayaking and boating. You may enjoy seal watching, we are lucky to be able to experience the seals from the beach at certain times during the year. 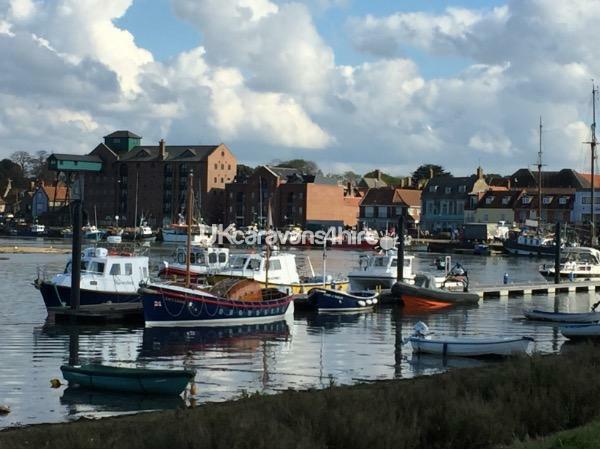 There are boat trips available from the harbour and along the coast at Blakeney and Morston. 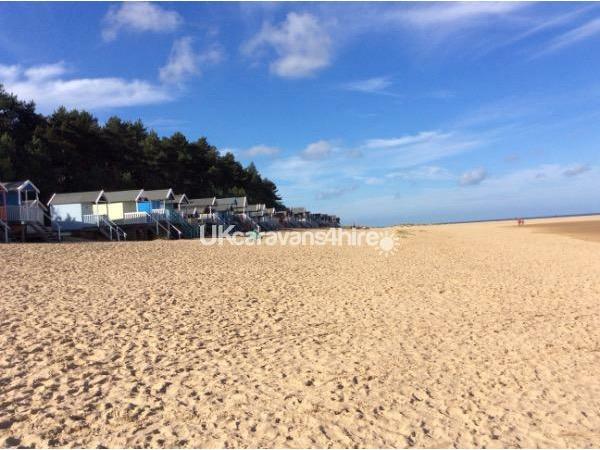 We are lucky to have such an unspoiled coastline with some beautiful coastal towns and villages. 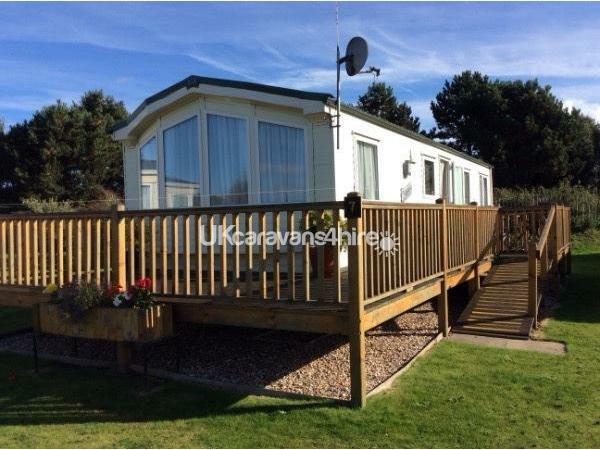 The caravan has it's own deck where you can eat and enjoy the sunshine. The caravan park is a peaceful relaxing site, it has its own shop and a small gym. Recommend the beach cafe for a bite to eat! Fish and chips a 10 minute walk away from the park. Wells its self, is a small town with some lovely local shops and restaurants. 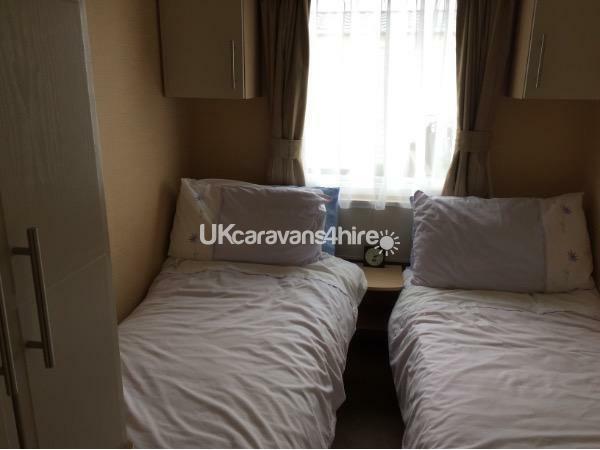 The accommodation is six birth, one en-suit bedroom, twin bedroom and shower room, with the lounge area providing another two beds as a double. 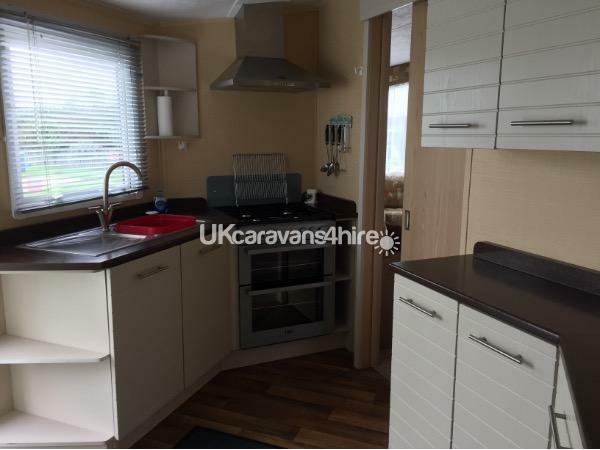 The kitchen is well equipped, with oven, grill, hob, fridge freezer, microwave and toaster. All bedding provided, duvet, pillows, pillow cases, duvet covers and sheets. We do not provide linen for cots. Towels are also provided but please bring your own beach towels. TV and DVD player in the lounge area. We will accept up to two dogs and there are lots of 'dog friendly' shops and restaurants, also most of the beach and woods are dog friendly. There is something to do whatever the weather! 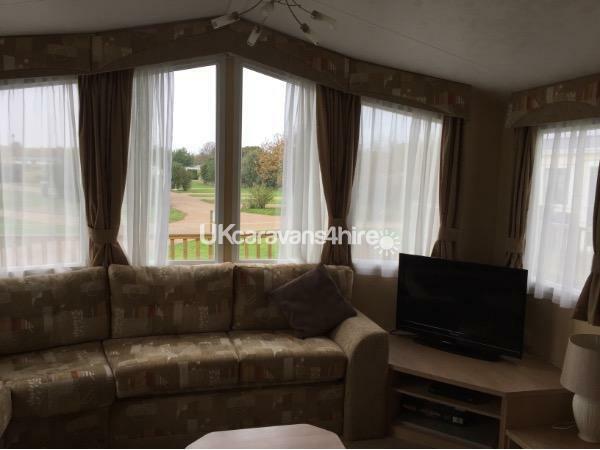 Lovely caravan in a great location on the park. 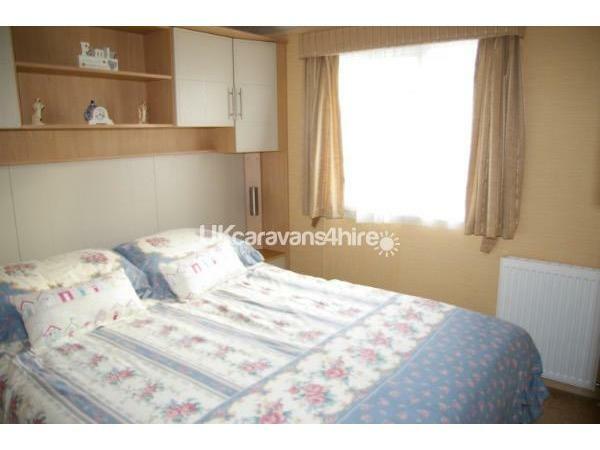 Caravan was spotless with fresh bedlinen and towels, and everything we needed. The welcome basket was a wonderful surprise. 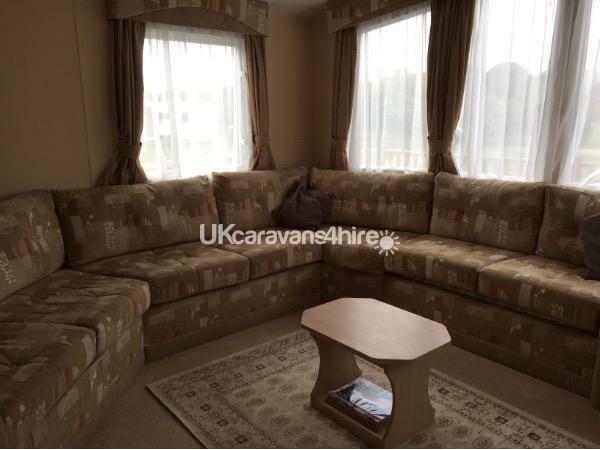 I highly recommend this caravan and will definitely book again. Everything connected to the booking was straightforward, and communications were very good. 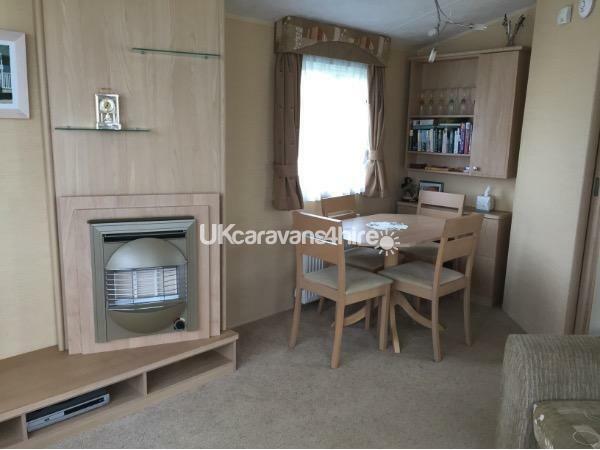 Great caravan and location. Well equipped, beautifully maintained and very clean with lovely fresh bed linen. Made to feel very welcome. Pinewoods is in a beautiful area with lots of places to visit. Hi, thank you so much for your review, we really appreciate it and we would love to have you next year! We had a wonderful stay, the caravan is so clean and the linen so fresh! We felt very spoiled by the owners, such a lovely welcome pack! The dogs had lots of fun exploring the Wells area and most places in Wells Next to Sea are dog friendly. Thoroughly recommend.